Austrian artist Peter Kogler uses twisting lines and geometric shapes to generate dramatic illusions in ordinary spaces. 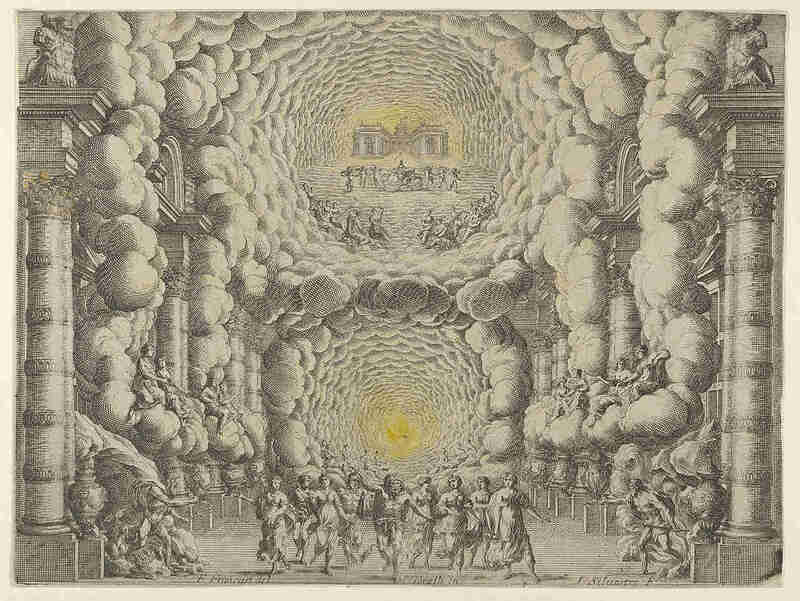 Through his innovative stage machines, architect Nicola Sabbatini summoned lightning, fire, hell, storms, gods, and clouds to the sets of 17th-century Venetian operas. The effect could be spectacular — characters braved moving waves, flew through the air, and descended into the underworld. His illusions, which came to be known as scènes à l’italienne, were best viewed from “the prince’s seat,” the center of the seventh row, where “all the objects in the scene appear better … than from any other place.” The scene above, undertaken with stage designer Giacomo Torelli, depicts Apollo’s palace as a city among the clouds in Francesco Sacrati’s La Venere Gelosa (1643). 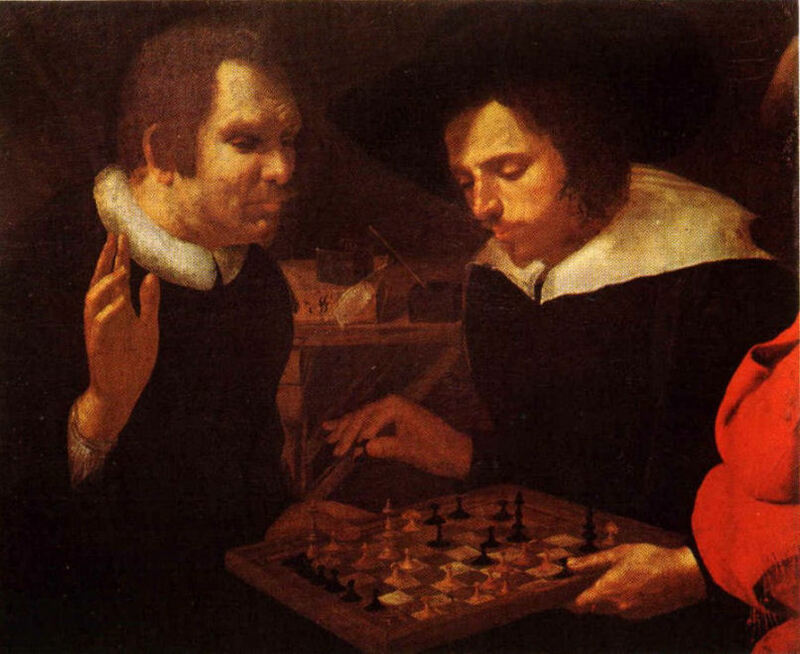 The title of this painting is electrifying: Ben Jonson and William Shakespeare Playing at Chess. Unfortunately, its authenticity has been subject to debate for more than a century. It came to light only in 1878, when it was purchased for $18,000 by Colonel Ezra Miller, and the authenticating documents were lost in a fire 17 years later. Supporters claim that it was painted by Karel van Mander (1548-1606), and in the best possible case it would give us new likenesses of Jonson and Shakespeare painted by a contemporary. 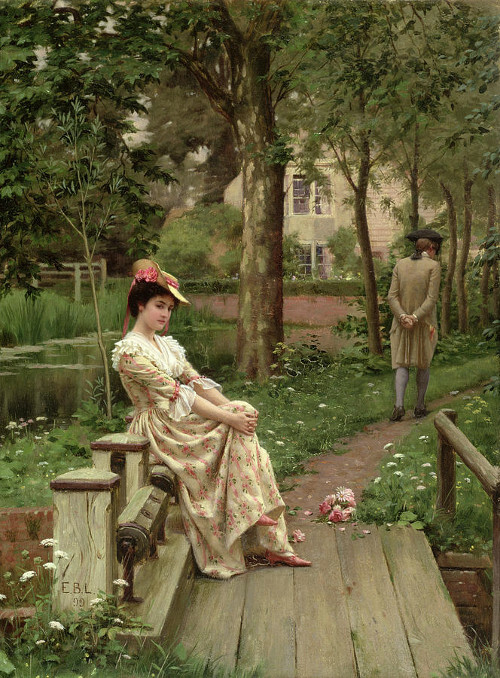 But a biography of van Mander, probably written by his brother, makes no mention of this painting, nor of the artist ever visiting London, and while Shakespeare here appears younger than Jonson, in fact he was eight or nine years older. The media pavilion for the 2002 Swiss National Expo was a cloud. Organizers built a curved building fitted with more than 30,000 nozzles that pumped water from Lake Neuchâtel into a fine mist, creating a floating 90-meter fog bank whose contours were controlled by a computerized weather system. Artist Antony Gormley took this idea a step further in 2007 with Blind Light, a 10-meter-square glass vitrine filled with mist and lit by 7,000 lux of intense fluorescent light that reduced visibility to less than an arm’s length. 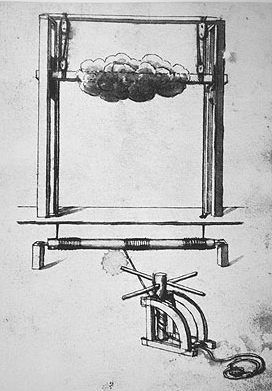 Sculptor Edward Ihnatowicz’s Sound Activated Mobile (SAM) was the first moving sculpture that could respond actively to its surroundings. Listening through four microphones in its head, it would twist and crane its neck to face the source of the loudest noise, like an earnest poppy. Fascinated Londoners spent hours vying for SAM’s attention at the 1968 Cybernetic Serendipity exhibition. Encouraged, Ihnatowicz unveiled the prodigious Senster two years later. Guillaume de Machaut’s Rondeau 14, from the 14th century, is a crab canon over a palindrome: When the singers reach the end of the line, the tenor (the lowest voice) reverses course and reads his music backward, and the other two voices follow suit, exchanging parts. 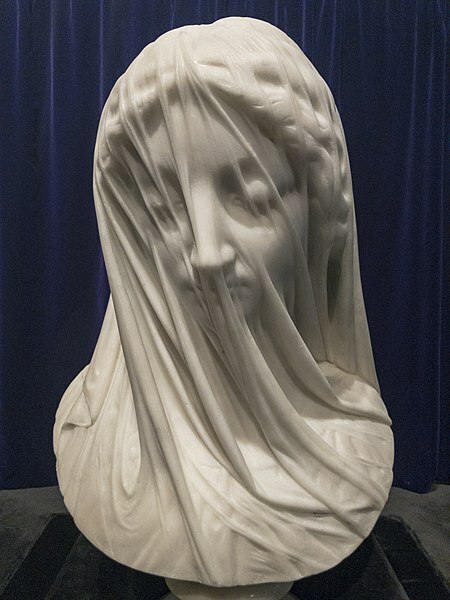 Sculptor Giovanni Strazza probably completed this bust of a veiled Virgin Mary in the early 1850s. It was transported to Newfoundland and placed in the Episcopal Palace next to St. John’s Basilica.